In celebration of its inaugural year, the Stouffville Minor Lacrosse Association (SMLA) has partnered with the Toronto Rock, professional National Lacrosse League team, to participate in the Rock’s Home Town Tour program. Toronto Rock legend, Colin Doyle, plus current players and alumni will host a training camp with SMLA players on the league’s “Day of Champions,” which celebrates the close of its house league season at Stouffville Arena on June 23. The visit will include a skills session with the Toronto Rock players and an autograph signing session. 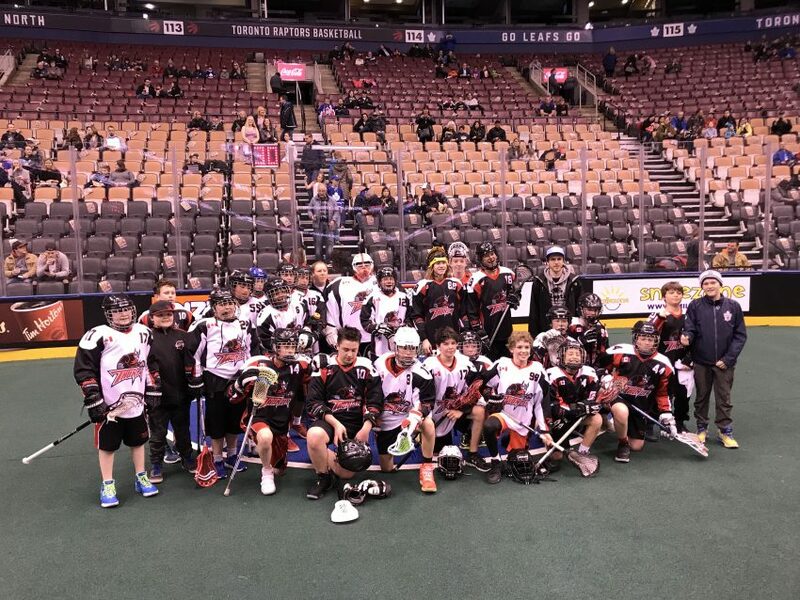 SMLA players had an opportunity to play a pre-game scrimmage on the Toronto Rock home turf at the Air Canada Centre on April 13. SMLA offers both a house league program for players aged four to 14 and the Stouffville Thunder rep box lacrosse program for players aged four to 21. As Canada’s national summer sport, lacrosse is an exciting, high-paced game that incorporates speed, agility, endurance, and strategy. Day of Champions is June 23 at Stouffville Arena, 12493 Ninth Line, Stouffville. 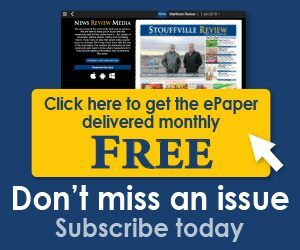 Visit stouffvillelacrosse.com for SMLA information. Image: SMLA players pose after a scrimmage at the Air Canada Centre before cheering on the Toronto Rock. ← Building community, one festival at a time.